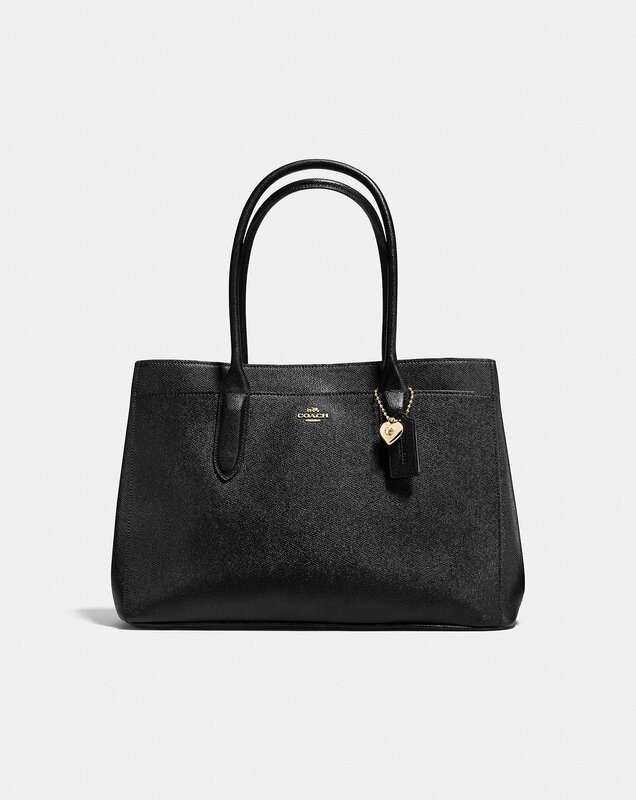 We Found the Perfect Commuter Bag at Coach, Plus It’s 50% Off! Commuting is a struggle, at best. If we take the train, we’re squished between dozens of people (and smells!) all while doing our best to hold onto a rail to keep ourselves from falling over and toppling into another equally-miserable rider. Buses aren’t much better — we’re still sandwiched between dozens of people vying for a seat and hoping it’s not next to someone that feels the need to give us a lengthy recourse of their day. Cars seem easier but we’re still bound to be stuck in traffic alongside everyone else en route to the office or on the way home. Walking would be great, but so few of us are lucky to live within walking distance of the office. We can always dream, right? One of the best ways to make our commute just a tad less terrible is by having the perfect bag for it. It should be roomy enough to house everything we might need wherever we’re schlepping to or from yet still be fairly minimal in design, so it doesn’t weigh down the crook of our elbow or our shoulders. 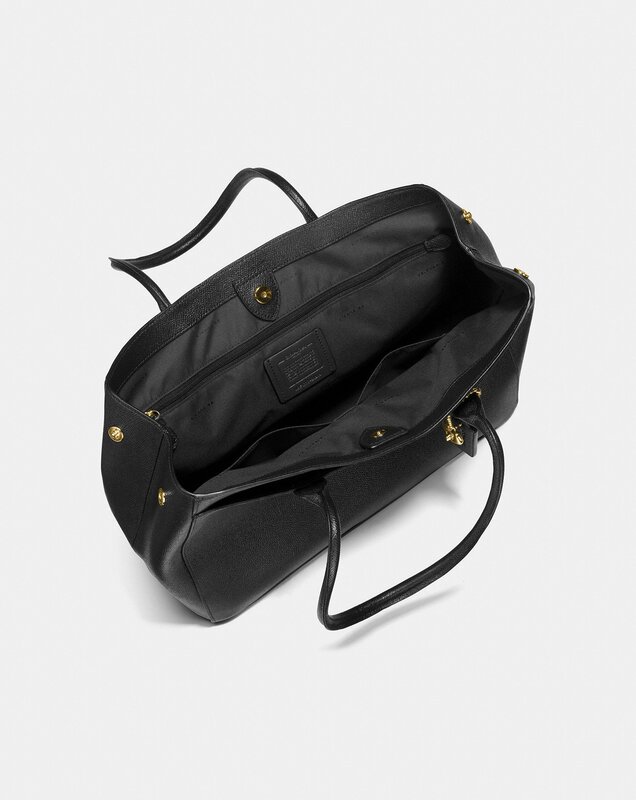 In short, it needs to be a bag that checks off plenty of boxes — and luckily for Us and our oftentimes far-too-long commutes, we found just the one. See it: Check out the Coach Bailey Carryall for 50% off the original price of $295, now only $148. Not feeling it? Check out other sale bags at Coach! 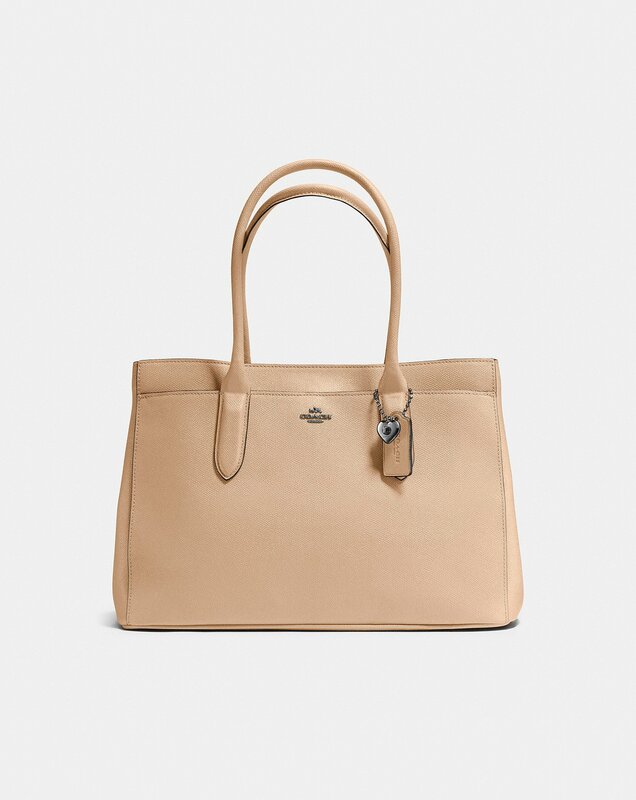 The Coach Bailey Carryall is designed to be the perfect tote no matter what our commute style is. It’s made in a stunning cross-grain leather that’s as durable as it is beautiful. It’s a roomy tote and is large enough to fit a 15-inch laptop or a tablet (or both, if we’re feeling extra fancy). Chuck a binder or a notebook in there, too — there’s plenty of room for all our needs! We can even fit a pair of flats in there, or some heels for a desk-to-drinks situation. The bag can be worn one of three ways. There are strap handles with a 7-inch drop, making them the ideal length to hold comfortably in our hand. We can also wear it on the crook of our elbow (word to the wise, don’t try to do that when carrying a super heavy bag — our arms have learned the hard way) or tucked under our shoulders to keep our essentials close and secure. Either way, it’s a super easy carry and won’t weigh us down no matter how far we’re going (or how long it takes for us to get there). The carryall comes in four equally jaw-dropping shades. The chambray shade comes complete with dark gunmetal hardware and detailing, giving the spring-y hue of the design a fall and winter-appropriate spin. Conversely, fans of darker blues would love the deep navy, offset with playful light gold hardware. We’re lovers of neutrals, so we gravitated towards the remaining two shades in the lineup. The creamy beechwood shade is a great way to lighten up an otherwise all-black outfit (which we can all fall prey to once it gets cold out) and it’s just dark enough to not obviously stain should someone accidentally spill the contents of their morning cup of joe around us. Our absolute favorite, of course, is the black version of the Bailey. It’s a perfectly deep black (not charcoal or the slightly-too-light black leather bags we’ve seen) and is offset by pretty gold hardware. The Coach logo particularly pops against the inky shade, too. It looks sleek no matter what it’s paired with, whether it’s that all-black ensemble we default to on days when we have no idea what to wear, or to tone down an otherwise bright outfit. What really seals the deal for us is just how easy-to-carry the bag really is. It truly is the perfect commuter essential. Bailey has a roomy inside zip, perfect for stashing our wallets, keys and any other important bits and bobs that we can’t leave home without. There’s a dedicated cell phone pocket as well, ensuring that our smartphones are always easy to access and don’t end up somewhere at the bottom of our bag underneath receipts, miscellaneous papers and who-knows-what-else. Multifunction pockets make the perfect home for pens, pencils, headphones and anything else we need to keep on hand. There’s even a pocket at the front of the bag on the outside, perfect for any extra items. Don’t worry — there’s a magnetic snap closure to ensure the person next to us on the subway or sitting beside us in a cab won’t find their way in. While the bag doesn’t technically have a zipper to close the top of it, there’s a snap close at the top to keep all your contents from spilling out. Don’t worry — everything that’s in your Bailey (be it your shoes, your work things or even just a lipgloss or two) will stay in the Bailey.